Don’t you hate it when the TV remote is all the way on the other side of the room? Haven’t you ever wished that you had telekinetic abilities to be able to make your device work without having to get up? While we have yet to unlock and harness actual telekinetic powers, we’re starting to get pretty close with gesture recognition technology and gesture software. Technological trends are developing and evolving at an exponentially fast pace each day, and gesture recognition technology is no exception. It is already seeing immense growth, and is projected to continue on the rise for the following years to come. But what exactly is it? 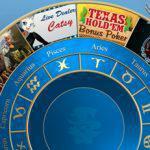 And what does it mean for the current trends and future of online casino gaming? 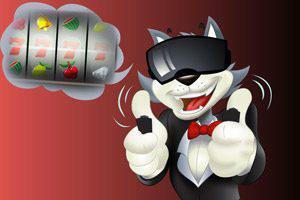 CoolCat Online Casino has your answers. What is gesture recognition technology? Gesture recognition technology, GR for short, is a simple concept that involves using body motions to control certain technological devices. If you’ve seen futuristic movies like Ender’s Game, Minority Report, or Iron Man, then you’ve witnessed what some of this technology can do, at least from an entertainment perspective. This isn’t just a matter of science fiction, however. Life has begun imitating art, and gesture recognition technology is very much a reality. GR devices utilize 2D and 3D cameras, infrared sensors, and ultrasonic screens to read body motions–usually hand signals–which are then translated into a response used as input for computer software. The concept allows for any individual to use their hands–or even facial expressions–to command their television, smartphone, game consoles or even household appliances. The current trend of gesture recognition technology? On a global level GR technology is seeing a meteoric rise. Experts suggest that by 2020, the GR market will be worth roughly $18 billion in the United States alone. Industry giants like Infineon Technologies and Qualcomm are competing with much more modest startups to take advantage of the potential of GR technology. Although smartphones and Bluetooth devices dominate the worldwide market of mobile technologies, GR software has many uses for the household, hence its popularity. 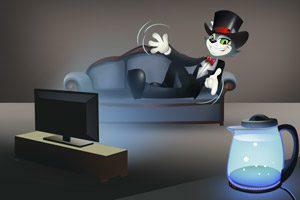 From channel surfing in front of the television to game consoles such as the Xbox Kinect, or simply turning on the household electronics and accessing a home computer, these are all falling into the realm of gesture recognition technology. There are also other sectors that are benefiting from GR technology. For instance, sign-language recognition software has been designed to help the physically impaired connect with their home computers. Programs like XTouch, an app that allows you to transform external surfaces into a touchscreen, are no longer rare. This application is particularly useful for educational demonstrations, for instance in the automotive industry (when one’s hands are occupied) or simply at home when scrolling through an iPad while cooking (by preventing food getting all over the screen). While much gesture recognition software is available on the market today, and is not so much part of some distant future revolution, it still has much potential. Currently, GR technology is pretty limited to high-power consuming devices such as household objects. However, with the right knowledge and progression, the touchscreen might one day become completely obsolete. Today, gesture recognition is considered by the general public as more of a novelty, but this doesn’t take away from the simple fact of the advantages that it can bring in the future. There is little doubt that it will play a more important role in the coming years, and even transforming into a vital tool in the future, leading to the progression of a more efficient society. For instance, in the medical field, doctors may begin using gesture recognition software to teach their students to learn complicated surgical procedures more effectively. The development of robotic nurses that can recognize hand gestures would greatly reduce surgery times. The hassle of day-to-day life working in a hospital would be greatly reduced or even eliminated thanks to GR technology, simply by saving time and increasing productivity levels. Gesture recognition software and technology can be of great benefit to varying forms of industry. And even futurists claim that one day we will see it become an integral part of our lives–at work and at home. 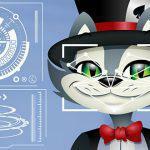 This is great news for online casinos. As technology is becoming more hands-free, online casinos are beginning to realize how GR technology can be utilized to create more immersive gaming experiences. For instance, with VR technology seeing launches on more and more platforms, this would not be at all possible without the incorporation of GR technology (the former utilizes the key component of the latter, body movement). One of the world’s largest B2B gaming conventions, ICE Totally Gaming, takes place annually. Companies from over 150 countries around the world involved in the gaming industry meet to discuss, among other aspects, the benefits of GR technology and its impact on online casino gaming. Casino companies like Slots Million (the first company to launch a VR casino) are utilizing GR technology to offer players more lifelike table game experiences. Take a popular casino game like poker for instance; gesture recognition allows for players to place chips and hold cards virtually, much like they would on a real casino floor. 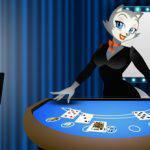 Other online casino companies are offering similar experiences with blackjack and slots games. Eventually, players will be able to experience an entire casino with what is known as augmented reality (AR) without ever having to step foot out of their home. By playing in real-time and for real money, brick and mortar casinos will have to start coming up with more clever incentives to challenge the technological progression of online casinos. Though CoolCat Online Casino is still looking into how the meteoric rise of gesture recognition software will effect gaming in the future, there are many other things worth taking a look at our casino today! 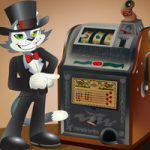 We offer a huge selection of fantastic casino game options for your home computer or mobile device. 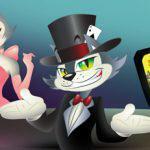 CoolCat Online Casino also offer weekly promotions, spectacular bonuses and exclusive VIP packages with some incredible rewards and incentives to join. Recognized for reliability and excellence, CoolCat Online Casino brings all of the thrills of the casino floor to your fingertips. 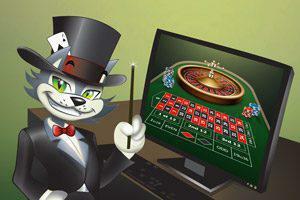 So sign up to play online for fun or for real money today! Simply click here to get started!